Who didn’t hear about Mallorca also referred as Majorca, the largest island in the Balearic Islands. However, if you looking for somewhat less touristic and equally or even more beautiful place for your vacation consider Menorca. Menorca is another Balearic Island which is located in the Mediterranean Sea just northeast from its “mother” Mallorca. The Island is just 695.7 km2 in size thus to get from one point of the island to the opposite should not take you more than one hour by car. To rent a car in Menorca is highly recommended especially if you are planning to stay longer, travel around and get to know the island. The rest of the article is dedicated to inspire you to get the most of the time spent in this beautiful small island. In order to get the feeling and unique experience, we would suggest getting rid of an idea to stay at Hotel. Better choose rural house called Finca in one of the villages of Menorca. We from our side recommend to take a look at Finca Llimpet. This rural house is located almost in the middle of the island at the municipality of Alaior which is just 12 kilometers away from Menorca’s capital, Mao. Llimpet is offering 4 different living spaces, outdoor pool, free parking, area for events, beautiful surroundings with garden, little farm with different animals, meals on request and much more. Check them by visiting their main website. One amazing way of getting to know Menorca is by going kayaking. The coast around the island is very beautiful, full of cliffs and caves which you can easily discover with kayaks. Choose beach of Santo Tomas and explore Cala Escorxada, or choose Cala Galdana Cala Mitjana or Cala Torret which is at the beach of Binissafuller. If kayaking is not your thing or you just don’t feel like doing it, then we would highly recommend to rent a small boat and see the coast of Menorca in this way. Sun which is guaranteed 300 days per year, good weather, cliffs and crystal blue sea will definitely feel like you are having the best holidays ever. Although Menorca is a relatively a small island, it can definitely be proud of its seacoast and beaches. Some of them are more popular and others are more hidden. For example, Cala Turqueta, Cala Macarella, and Cala Macarelleta are some of the most popular beaches in the south part of Menorca. While Cala Pregonda, Cala Cavallería and Cala del Pilar, Cala Tortuga and Cala Presili are the most famous beaches in the north part of this Mediterranean island. All of them have their charm, however, be aware that some of them do not have services such as lifeguards, beach bars called Chiringuitos and even bathrooms. Also, depending on the beach of your selection you might need to walk for a bit to reach the beach. Planning your Menorca holidays in June? Great make sure to make it happen during Sant Joan 23 and 24 of June. This is the celebration/ fiesta of the island of the year! It takes place in Ciutadela, Ciutadella in Catalan, the municipality of Menorca located in the west part of the island. Over 200 horseriders are occupying the streets showing different tricks. The streets are super small and a number of people coming to celebrate and experience Sant Joan in Menorca every year is bigger and bigger. A lot of daredevils put themselves in front of the horses in order to make them jump. The celebration is dangerous thus, is really not recommended for the little kids or those who cannot stand huge crowds or those who are terrified by having horses few centimeters away from their faces. However, if you are eager to live probably one of the craziest days of your life, give it a try! Already in love with Menorca? 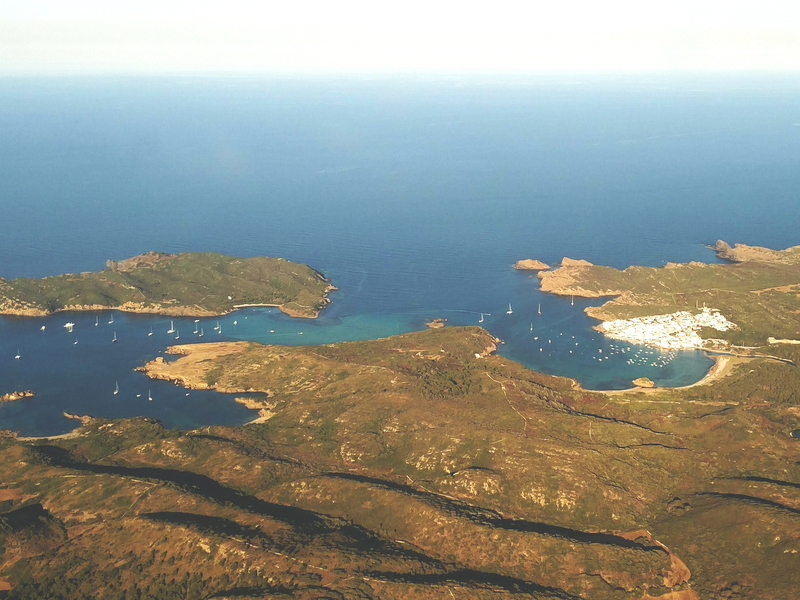 Wait until you put your feet on this amazing Balearic Island.